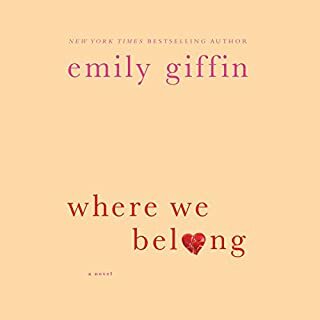 In her eagerly awaited new novel, beloved New York Times best-selling author Emily Giffin returns with an extraordinary story of love and loyalty - and an unconventional heroine struggling to reconcile both. 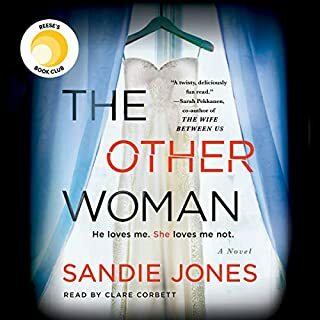 But when an unexpected tragedy strikes the tight-knit Walker community, Shea’s comfortable world is upended, and she begins to wonder if the life she’s chosen is really enough for her. 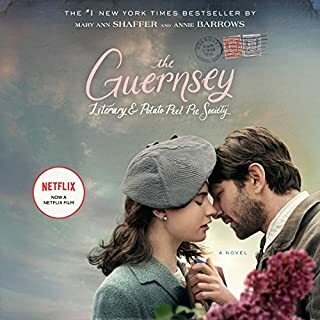 As she finally gives up her safety net to set out on an unexpected path, Shea discovers unsettling truths about the people and things she has always trusted most - and is forced to confront her deepest desires, fears, and secrets. 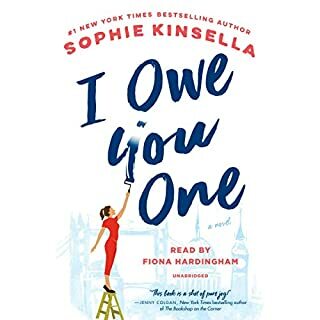 Thoughtful, funny, and brilliantly observed, The One & Only is a luminous novel about finding your passion, following your heart, and, most of all, believing in something bigger than yourself...the one and only thing that truly makes life worth living. I just didn't love the story. I am a football fan but didn't want to hear the details of all the games. 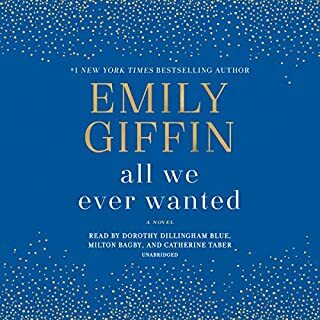 Would you ever listen to anything by Emily Giffin again? Annoyance. I couldn't wait for the book to be over. She mispronounced "Giffin" as "Griffin" as she was introducing the book. I also had a hard time getting pass her awful "Texas" southern drawl. 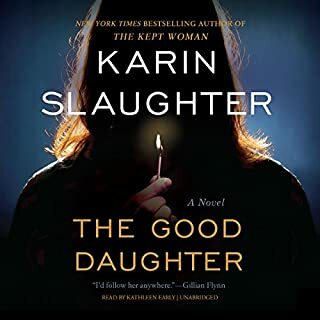 I am so glad I took a chance on this book because I greatly enjoyed it, especially the storyline. For me, Emily Griffin's books always have interesting scenarios that start out really good. Then she can't stop herself from herself. Her chic-lit bushwah cup just flows over at times, to the point that I start skipping over the endless monotonous conversations, repetitive banter and that tiresome pondering that chic-lit protagonists routinely do. This time the author was able to rein that in, much better. 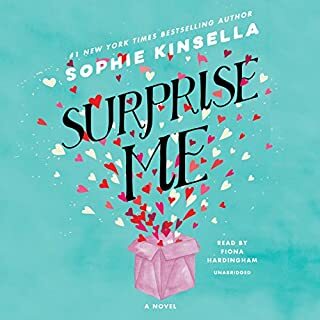 There is one point, though, in this book where Shea and the love of her life are stealing themselves away. As they are moving to another room, offhandedly he mentions that he needs to tell her something later. Now in real life, that would be the end of it till later. Shea, on the other hand, spends FOREVER wondering what he might say... an INSANE GREAT LENGTH........ I think a whole chapter was devoted to her pointless wondering... It felt like she got out a yellow legal pad to number the possibilities. I was screaming out loud at Ms Griffin once again for her wasting my time. Thankfully, she pulled it together and before long had me laughing out loud, guessing at the direction she was going, and physically crying. It's rare anymore that I physically cry over a book, like I did this time. I like where she ended this novel. I thought the author pointed the direction HER characters were going nicely, then allowed me the opportunity to wonder a scenarios of my own. I don't need to see May/November go to ugly in January. The lives of the characters in this book revolve around football, thus this book is about football. If you do not have a general knowledge of collegiate football and the game in general, you may not enjoy this book. 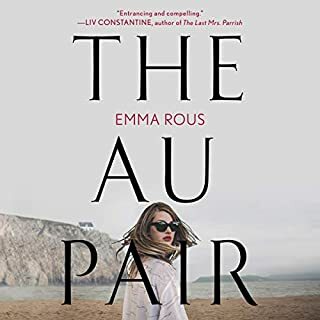 The other thing that will make or break this book for you is to ask yourself if you can enjoy a story about an unconventional nontraditional relationship. I rarely am critical of the narrator, but I would be lax if I did not mention Sofia Willingham's performance. It's distractingly irksome to the point of making the listener weary. 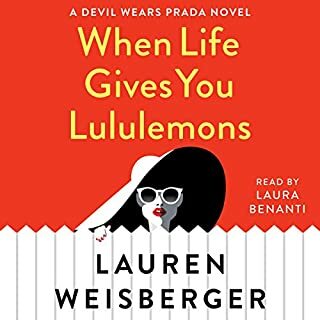 I listened to her previous work, after finishing this book, this was not her normal speech. She must think Texans speak incredibly slow and sleepily while half whispering. What would have made The One & Only better? A better story with 3 dimensional characters. I hated the main character. She was whiny and somehow highly desirable to men. All the football stuff was dullsville too. The story was like a ripoff of Friday Night Lights. The characters were not believable and the 'love story" was just gross. From the beginning you have an uncomfortable feeling of where this is going and it never feels right. What three words best describe Sofia Willingham’s voice? What character would you cut from The One & Only? Shea, the main character. I really disliked her. I loved "Something Borrowed", its sequel, and "Baby Proof". 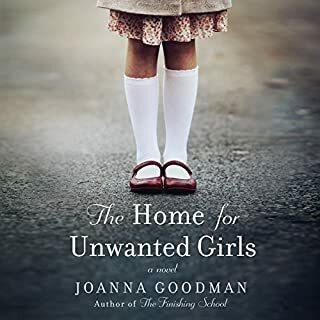 This book was just bad from start to finish. I made myself finish hoping it would get better. But it didn't. I think I am done with Emily Giffin books. 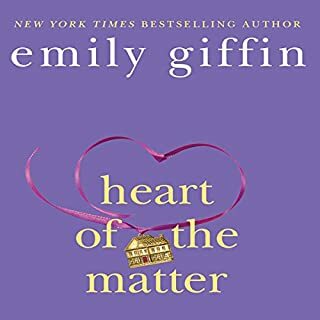 Another winner from Emily Giffin. 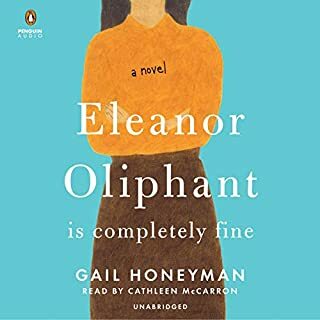 Her stories always seem to hit home somehow, and the characters seem real and have depth. Nothing will ever top Love the One You're With for me, but this was as good as any other book she has written. The narrator sounds genuinely Texan, not the least bit fake or forced, or over-the-top as MANY Texas accents are portrayed. My only issue is her voice did not fit who I saw the character to be. She sounded younger, less attractive and less passionate than I imagined her. The aftermath of the bar scene with Ryan James was such an accurate portrayal of a normal reaction to that kind of thing, that many, many women can probably identify with. Research was definitely done on this one! From the schools, to the football lingo, to the Dallas landmarks and even just the Texan nuances that many wouldn't pick up on without living there. One complaint is that while it more or less ended the way you would want it to, it seemed sudden and rushed and left a couple of loose ends. What disappointed you about The One & Only? so slow and boring, 2 hours in and I wasn't interested in any of the characters. the story was so boring, the main character so uninteresting and dull. The narrator was dull and not animated, it made the already boring story worse. I thought I would fall asleep a few times. Not really, its not one of my favorites. The story although solid is muttled by over emphasizing things. In the beginning of the book the main character Shay is obvious in the direction she is headed. And at that point the book remained obvious and the plot remained obvious. 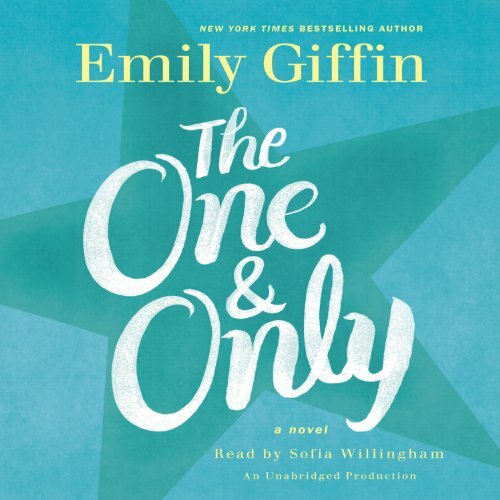 If you’ve listened to books by Emily Giffin before, how does this one compare? 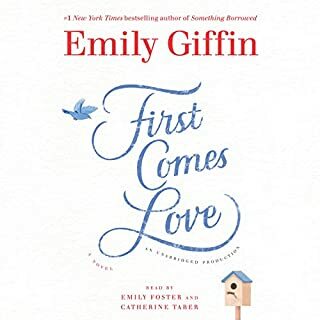 This book was not one of my favorite Emily Giffin books and it was not one of my favorite books period. 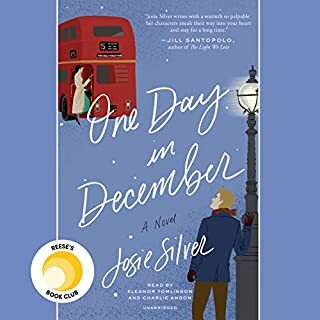 The story line was solid to a point but the direction of the book and the constant way she swooned over one of the characters was not realistic in some ways. And as a girl who cheered for a Big 10 school and knows Big 10 Football, it was tiring the over use of football lingo. As a southern person I could relate to her southern accent. She honestly did a good job with what she was given. If the character had not been so infatuated with the other character from the onset and if they had just formed a friendship based on the fact he worked with her and spent time with her and had just lost his wife. If it wasn't beat into the ground that she initially had this overwhelming crush on this man, that made it unbelievable and predictable. 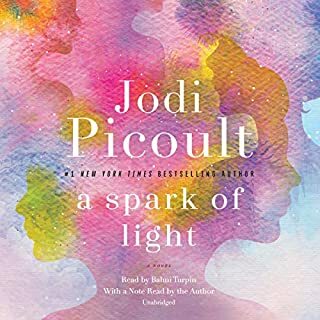 If the story had taken a similar route, removing the over saturated infatuation for the coach and keeping her relationship with the pro football player and bringing them together from those circumstances instead of over emphasizing her infatuation for Coach Carr. It would have made me feel more sympathetic for both characters. 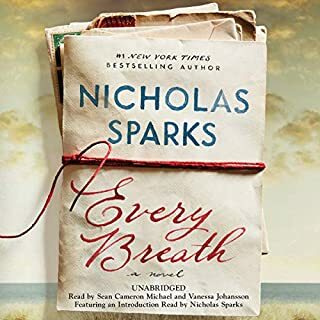 The story line is solid but the direction Emily Giffin chose to take on the storyline made the book hard to believe and difficult to enjoy. There were also other factors within the book that made it unrealistic and like a tree filled with sap, messy. 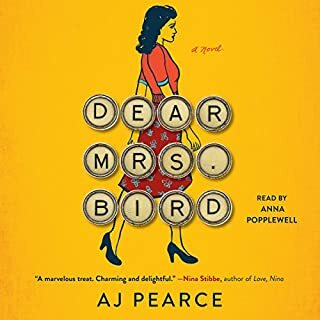 I haven’t written a review in almost 3 years but I had to break my silence to address the ….. ( need a word for the abrupt ending of this book, can’t think of any right now my mind is too jumbled). I will not address what this book is really about because it would be no different from the summary provided to us by the author/publishers (above) or without giving a spoiler; I will only address the abrupt ending….. Ms. Giffin, your readers would like to know what happens with Shea and her “most favorite person in the world” when they met up later. What did they talk about? Was it Lucy etc? Did they make love (I’m sure they did but we want to know, I can’t live on assumptions)? Did they have a baby? How long before they moved in together? And much more. 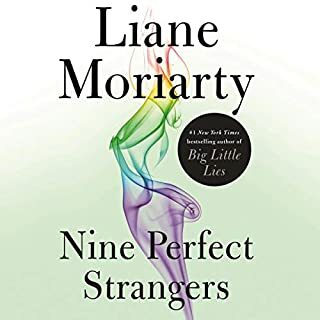 Although this was a great book (as usual) and I stayed up all night reading it, I a very angry in the end because I paid for this book hoping to get my money’s worth but like more retailors these days, the deal was cut short. After which I couldn’t sleep wondering what happened next. Unless, you have another follow up book in the works ( please, please, please say yes) if not, there is no excuse. If you would note, I am using the word/pronoun “we” because I am sure your other readers are having a love hate relationship with the ending of the book as well, love, the way it happened and hate, how you left us hanging with NO epilogue or one last page addressing the next. Please, please, I beg of you, publish a deleted scene about what happens after (I’ll even pay for it). Disappointed, and one of your greatest fan……me. I said. She said. He said. Not a fan of the accent, or the repetitive use of "I said, She said, He said." Was too noticeable.